Waco, Tx area people dedicated to combating climate change through education and direct action. Westbank Meeting Room, 703 N. Valley Mills Dr., Waco, 76710. Free presentation and pizza/salad buffet. Although attendance at the Waco Downtown Farmers Market on Saturday, 4/18, was lower than usual due to the impending storm, FOP/C still distributed about 200 re-usable shopping bags. The response from shoppers was uniformly positive, and most understood the crisis of plastic pollution of the oceans. Many also understood the connection to climate change. Thanks to Adrian for volunteering for the full four hours. 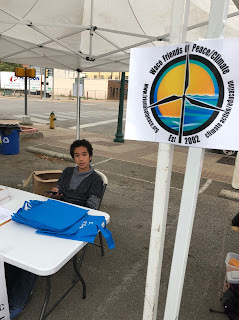 Thanks also to Ana for help with clean-up, and thanks to the Market staff for providing the booth space. The 6th annual event is scheduled for April 20, 2019. Climate science has clearly determined that to maintain a livable planet the mean global temperature increase above pre-industrial must be limited to 2 degrees C., through rapid reduction of worldwide greenhouse gas (GHG) emissions. In the United States, the largest sources of emissions are electricity generation, and transportation. In a previous Trib column I reviewed hybrid and battery electric cars. In this column I will discuss rooftop solar, using photovoltaic or PV cells, in Central Texas, incorporating my personal experience of 27 months. Availability. Waco encounters an average of 230 sunny or partly sunny days per year, and is thus an outstanding locale for rooftop solar for residences or businesses. The primary requirement is a roof unobstructed by trees or other objects. (But if obstructions exists, many installers can erect ground based solar arrays.) A south facing roof generates maximum energy, but is not mandatory. Although homeowner’s associations will often assert that rooftop solar is not permitted, this claim is false, and they are not able to prevent installations under Texas law. In fact, the claim that solar panels are unsightly is actually a myth. Their sleek, black futuristic appearance is a visual improvement over mundane gray shingles. Cost. 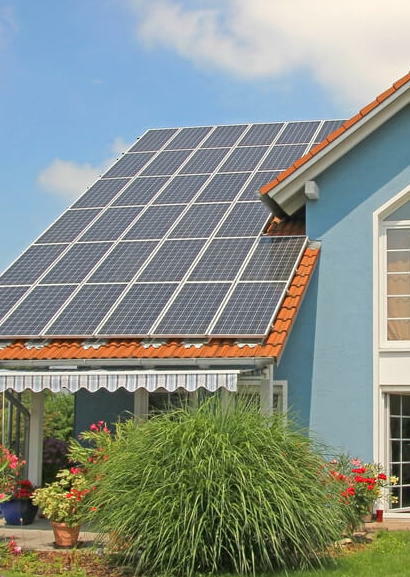 Although the exact price of a home solar system depends on multiple variables, I will provide a representative example. A 6000 watt (6kWp) system has a list price of approximately $18,000. For those in the ONCOR service area, a properly oriented system could receive an incentive of about $4,200, reducing the upfront cost to $13,800. (Note that the ONCOR incentive varies throughout the year). Later, applying the 30% federal tax credit, the final out of pocket cost would be only $9660. Although the price of PV cells has plummeted over a decade, the new Trump tariff on panels is expected to increase the price of a typical residential system by $500-$1000 in 2018, and by less in 2019-2021. The average time for a system to pay for itself is 7 to 8 years, and the system thereafter saves the owner money. The good news is that the two predominant installers in Central Texas, Holtek of Waco and Freedom of Austin, now both offer financing, making home systems highly affordable. Installation. Waco is fortunate to have an experienced local installer in Holtek , whom I utilized. I can attest to Holtek’s excellent customer service. Freedom Solar has also received a glowing review from a friend who used the company. Installation usually involves attaching the panels to the roof, attaching the inverter (converts DC to AC) to an outside wall, and wiring the system components, connecting to the existing electric service. The process surprisingly is completed in approximately 3 days. Operation. One delight of home solar is monitoring the function of the system. Through one’s computer or smart phone app, data is displayed, including: daily, weekly, monthly, and annual electricity output; total home consumption; and dollar cost savings. And through net metering, the excess production during the sunny hours is credited by the grid provider, further lowering one’s electricity bill. My system of 30 panels has had an average monthly generation of 1,198kWh, a maximum monthly generation of 1,660kWh, and several months with NO bill for electricity consumption! With no moving parts, PVC systems are essentially care free. In 27 months, the only maintenance I performed was rinsing the panels once with a garden hose during a very dry, dusty month. · Once the system cost is recovered, monthly electricity bill savings represent income. Further, the systems are guaranteed to produce 80% of initial output for 25 years! · Home value may increase 3 to 4% upon the addition of rooftop solar systems, according to a 2011 study by the National Bureau of Economic Research. · Conversion of the world’s energy system to renewables is a race against time, to avoid climate catastrophe. Installation of rooftop solar is thus a powerful contribution to our children’s well-being. · Replacing fossil fuel energy with solar energy has many additional benefits: cleaner air with decreased cardiopulmonary disease, water savings during time of drought, decreased pipeline disasters, and fewer fracking calamities. 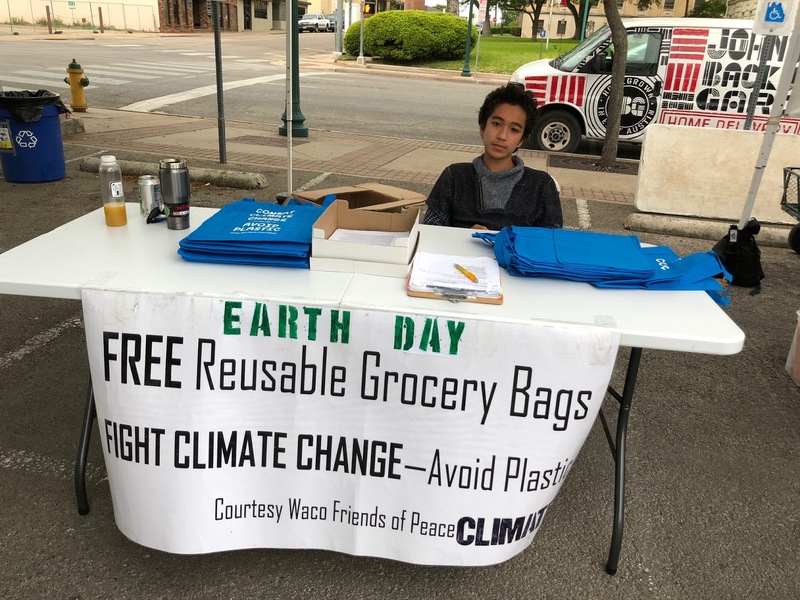 On Saturday, April 21, from 9:00 AM until 1:00 PM, FOP/C members will distribute complimentary re-usable shopping bags at the Waco Downtown Farmers' Market. This will be the fifth year that we have done this. The shoppers at the Market seem to love this tradition and we give away from 500 to 800 bags each year. Hopefully, 2018 will also be successful. 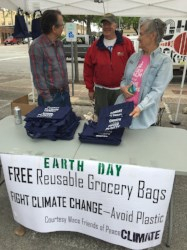 We know that this event serves 2 purposes: it helps decrease litter associated with single use plastic bags, and it decreases the global carbon emissions associated with the plastic bags. The vast majority of shoppers at local groceries are STILL using plastic bags. Our mission is to reverse that pattern by our example as we shop, and by supplying the bags folks need in order to ditch the plastic. And never forget: if we don't change our behavior, by 2050 the OCEAN WILL CONTAIN MORE PLASTIC BY WEIGHT THAN FISH!! We must help prevent that disaster. 703 N. Valley Mills Dr.
April’s meeting features a presentation on rooftop solar by Shannon Munden of Freedom Solar of Austin. Shannon is the Houston Manager of Freedom. Her presentation will cover the history of solar energy, the details of a rooftop solar installation, and financing options. For those interested in rooftop solar, this presentation will be very useful and practical. Time is allotted for Q&A. Installing a rooftop solar system is one of the greatest steps one can take to combat climate change. 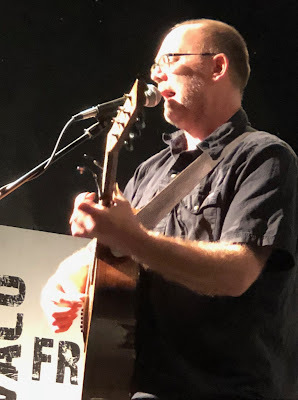 Performing at the first Concert for the Climate, David Rovics – a brilliant political singer/songwriter – nailed our current Trumpian situation with biting lyrics and rousing guitar. 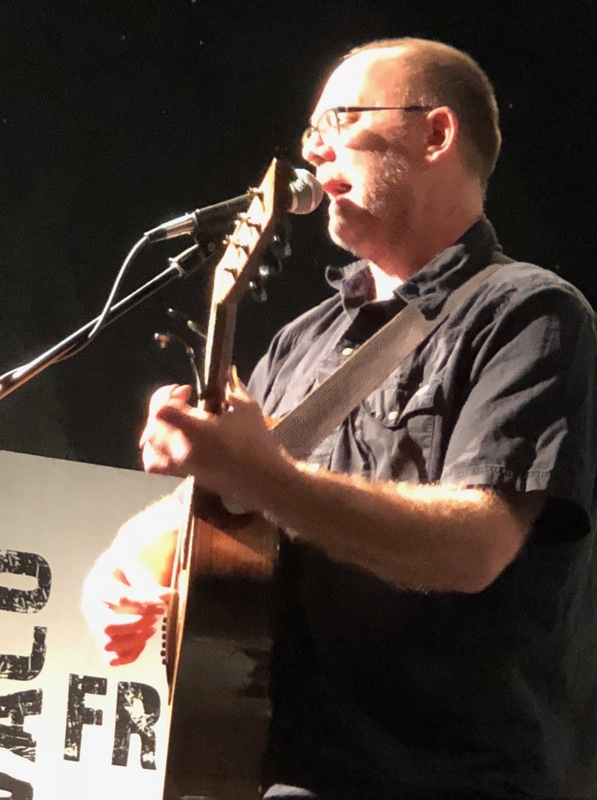 Several of his songs directly addressed climate change. Local guitarist Frank Exum opened with a beautiful set of classical instrumentals. 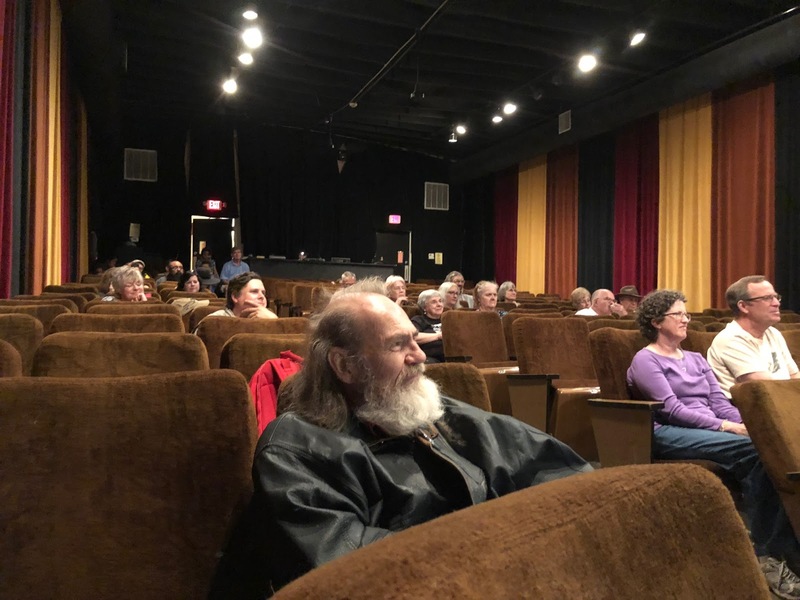 Alan Northcutt, MD, provided a lecture covering ongoing impacts of anthropogenic climate change and distributed a comprehensive handout covering small to large steps everyone can take to combat climate change. There was a fantastic spread of vegetarian snacks provided, ranging from chocolate hummus to stuffed celery. “Dire Predictions,” a beautiful climate change book by Michael Mann, was given as a door prize to ten attendees. FOP/C would like to thank all our guests, who were treated to an enjoyable and educational event. 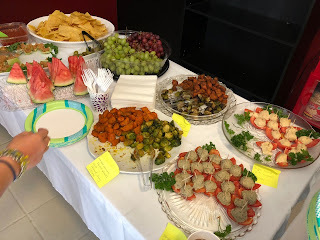 Thanks go out to all FOP/C members who helped out in multiple ways to create a memorable evening: Ana, Carmen Saenz, Serena, Harrison, Sherrell & Bruce Huff, Travis Hipp, Latayla Drake, Adrian Northcutt, and everyone else who contributed. 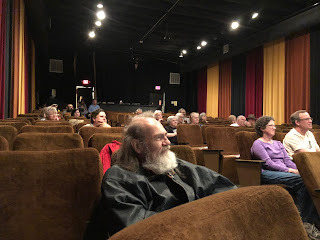 Thanks also to the Jubilee Theater for providing the venue, and the director, Trent, for all his help. 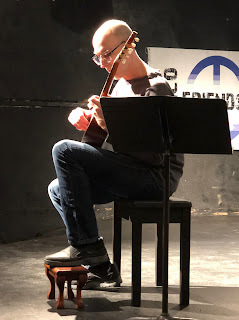 David’s tour continues on to Houston and then to Scandinavia and Germany. His music can be accessed at www.davidrovics.bandcamp.com.